I already know what you’re thinking, “I’m a student, why would I go to the Gould Street Party – isn’t that an alumni thing?” Yes and no. 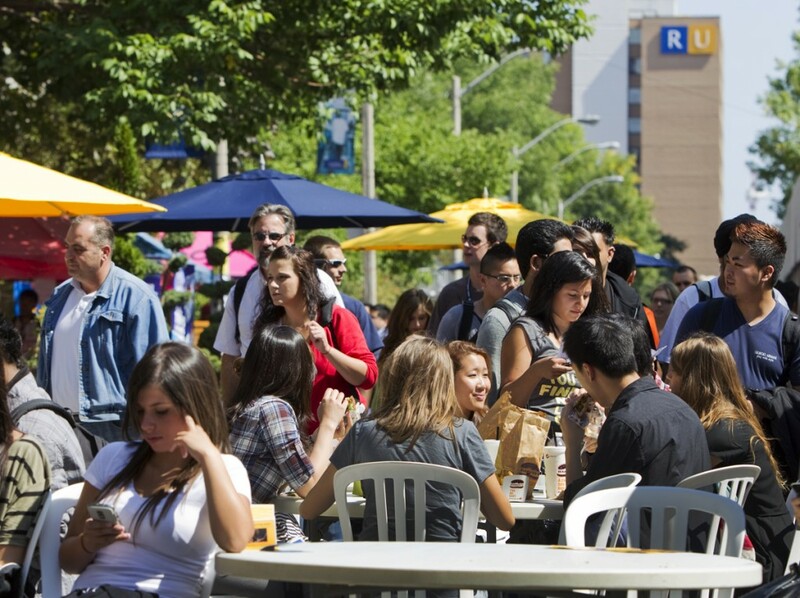 It’s part of Alumni Weekend, but the Gould Street Party is open to all Ryersonians – students and alumni alike. Missing out on the Gould Street Party is one thing you don’t want to do during your time here at Ryerson. So much so, that I’ve created an entire list of reasons why you have to attend this event on Oct. 3. 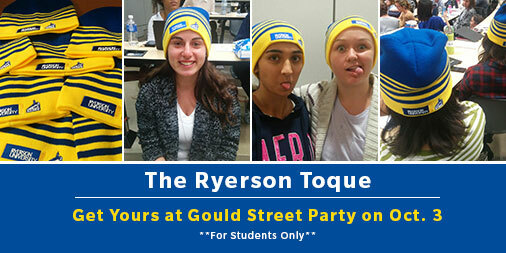 When you come down to the Gould Street Party, you automatically get yourself a free Ryerson toque! You’ll find that this toque is a great solution to many of life’s problems. For example: Bad hair day? Throw on the toque. Headed to a Ram game and need to rep Ryerson? Throw on the toque. Need to add a pop of colour to your outfit? THROW ON THE TOQUE! Just bring your one card with you to the Gould Street Party and register on-site, and then you can… throw on the toque. Do you future self a favour and start networking now. It’s never too early to start building connections, in fact, right now is the perfect time to get ahead. The Gould Street Party is a great opportunity to meet hundreds of talented and successful alumni with years of experience under their belt. There are going to be a 1,000+ of them walking all over campus, opportunity is practically knocking on your door! Ain’t no party like a Gould Street Party! We all still remember when Drake performed on this very street, so you could say it’s basically the best place to throw a party. On October 3rd, all of Gould Street will be filled with tons of fun activities for you and your friends to partake in, including a live DJ, delicious food, entertainment and giveaways. Oh, and it’s the best place for you to grab some selfies with Eggy in your Ryerson toque. #Adorable. What more could you ask for? As a student, I can admit that I love free things. Especially when the free thing is BBQ. If you come down to the Gould Street Party, you can enjoy a hot BBQ lunch, and save some of the money you would have had to spend to eat that day. It’s literally a win-win situation. There will be a variety of games taking place, so take your pick or attend them all! Personally, I’m most excited for the O’Keefe House annual alumni vs. frosh football game. Or maybe to watch the Ryerson Rams take on the York Lions. It’s a tough call but whatever you decide, be sure to head over to a face-painter before and get your game face on! Find out more about the Gould Street Party here, and join in the convo using #RUAW15. Hope to see you there!